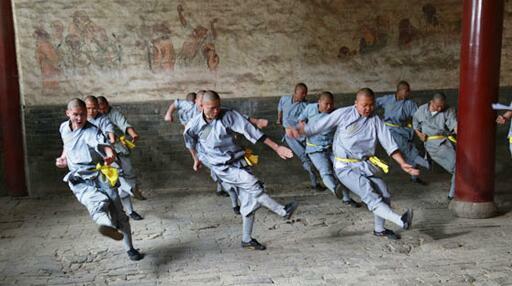 The origin of all martial arts leads back to the famous Shaolin Temple in Henan Province in China. 1500 years before the Indian monk Bodhidharma (also known as Ta Mo) came in the Shaolin temple and found the Shaolin monks in a catastrophic health condition. He taught Buddhism to an already existing group of monks, and also taught some form of martial arts based on Indian martial arts and/or dance. The reason he did this was variously given as the monks were out of shape, or needed to defend themselves, or China was too cold to sit in yoga meditation and so he invented a moving meditation. Bodhidharma developed the 18 boxing techniques of Shaolin and trained the monks to prepare their body condition willingly for the long meditations. The exercises should promote the health of the monks, the steely muscles and stimulate the internal organs, so they live longer. The Shaolin temple was in lawless territory and was often the target of bandits. The monks were often attacked and robbed. For this reason the physical training took the form of a basic self-defence system. Later they introduced weapons systems. Due to their extreme discipline and cultivation practices, the monks incorporated an aspect of spirituality and mental control into their fighting arts. During the heyday of the Shaolin Temple over 2500 Shaolin monks have been trained with Shaolin Kung Fu in numerous styles. Especially 13 famous Shaolin monks have gone down in history because they have helped the famous General Li Shimin in the Battle of Qianglingkou to win. Their weapons are the dreaded Shaolin Gun (stick). Bodhidharma also spreaded the Buddhist teachings of the Chan, which was very accommodating to the Chinese mentality. Even here, the close connection between Shaolin Kung Fu Training and Chan Buddhism (or even called Zen Buddhism) is clear. But it is by no means ALL Buddhist monks that are associated with martial arts, just a few subgroups–specifically the Shaolin monks learn fung fu. Shaolin kung fu is an ancient Chinese form of martial arts exercise. Shaolin monks in China incorporated the exercise forms with their philosophy of nonviolence, using kung fu only as a form of self-defense. In the same sense that there are violent Christian, Muslim and Jewish sects. Not that they’re somehow violence-oriented, but that they have no particular prohibition of violence, if justified. 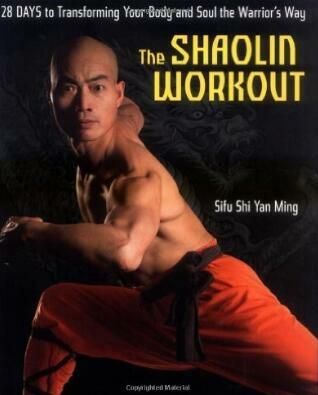 Now let’s see the shaolin monks daily routine to know more about their kung fu training. 5:35–6:30: morning kung fu practice: warm-up and basic skills. 9:00–11:30: doing temple affairs, like working at farms, chopping wood, commercial affairs; elder and child monks attend Buddhist classes. 14:00–17:00: afternoon kung fu practice: martial exercises and combat skills. 21:00–23:00: 1 hour of night kung fu practice: reviewing and every kind of exercise. At the morning training session, basic skills are practiced. Morning training begins with empty stomach, by warming up, which includes loosening up the body via rotating the joints and then by stamina training via endurance exercises such as various kinds of running, jumping, push-ups, etc., for 15–30 minutes. Then the “child skills” such as flexibility and balance are practiced for about a half hour. Flexibility training is done via stretching exercises, and balance training is done via keeping the body balanced in different childish skills postures for a while. Usually, morning training takes 1 hour, but monks may train themselves by doing more basic exercises and other exercises such as practicing combat drills and routines, etc. Afternoon training session usually begins at about 14:00-14:30, and may even begin at 15:00 at hot summer days. At this session, mostly the combat skills are practiced. These are usually practiced for 1–2 hours. In between, they may have a few 15-20-minute rest times, and may do other kinds of exercises at this session, which make the session to last for 2–3 hours. Shaolin training is something of interest to many in the western world. Ever since the Chinese kung fu movies arrived people have been trying to learn their moves. 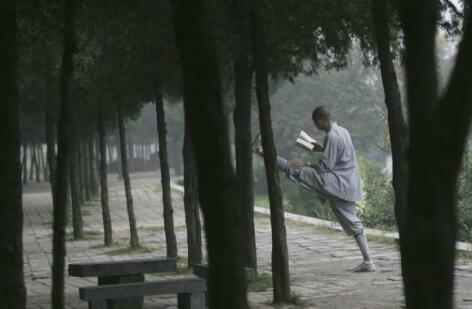 Shaolin monks train their whole lives in various disciplines. 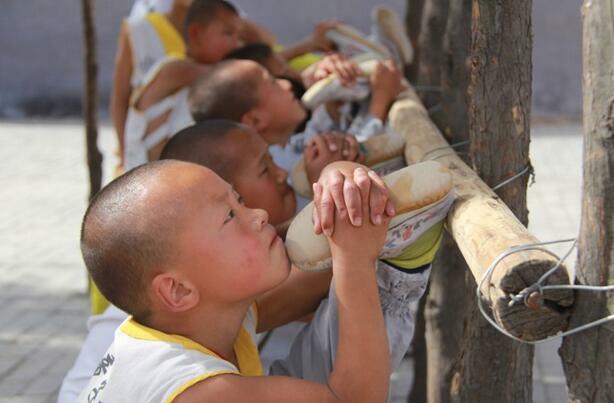 They train in kung fu, mindfulness meditation and many gymnastics-style physical skills. They also have strict nutritional guidelines that they live by. In all practices of the Seventy-two Arts at first the basic theory is studied and only then exercises are done. At first those who practice the arts train the softness of their sinews and bones and try to make agile all their joints and articulations. Then they set into motion the main breath zongli, strengthen the internal organs fu, improve blood state, consolidate body strength, control the cinnabar field and concentrate energy in it, overcome their desires and requirements. The strength spreads on the four extremities and the hundred joints and articulations, now a fighter is in command of unlimited power and he can move off one thousand jins. Your arm weighing only ten jins can move a thing weighing ten thousand jins with a stroke. Your arms are a head, your legs are a tail. Everything is permeated with a single movement, the body moves like a dragon. Teachers said: “Shaolin exercises develop forces of the whole human organism, all joints and bones; you are capable of striking with all parts of your body.” There is one more saying: “The fist is the source of all arts and the leg is the base, the root of the fist.” Ordinary practice of pugilism consists of seventy percent of leg training and thirty percent of fist training. This is accomplished through drills and exercises like reaction time drills, continuous repetition of martial arts techniques, progressive physical skills, obstacle courses, weapons drills, partnered coordination exercises and many other things that they practice on a daily basis. This sort of training is conducted for many hours per day. As it recommend: Some of the practice which is shown requires extensive training, so be aware not to do it that way. Most Shaolin training is claimed as a secret, however it is rather open for the world to see. The new age Shaolin monks even perform shows and exhibitions displaying their skill to the western world. This new breed of monk is not the authentic version from before the 17th century whom actually don’t really exist anymore, besides a few in isolated areas outside of Shaolin. But now days, you still can learn some training methods and kung fu skills from kung fu schools and shaolin monks. Shaolin animal style kung fu: Monkey fist, tiget fist, dragon fist, crane fist and snak fist. How to Learn Kung Fu? 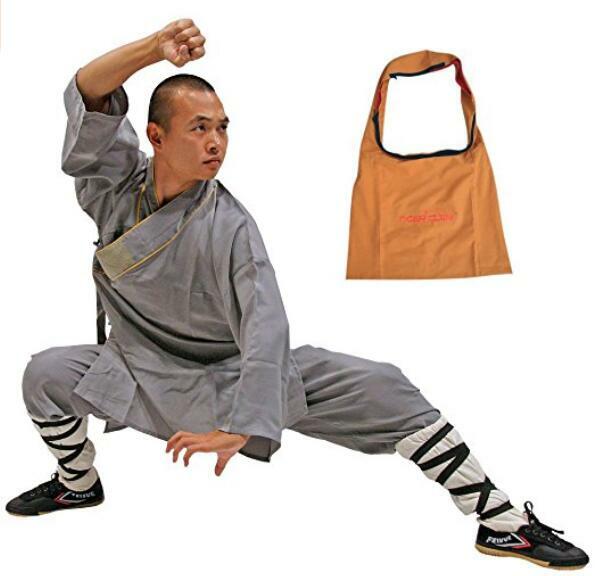 Learn your Sholin kung fu, Shaolin Feng can be help!